When making a transaction with BTC using a wallet, it is broadcast to the network. A miner will verify the transaction by checking that the amount you are sending and address matches an unspent input of a previous transaction in the chain. The miner will include your transaction in a pool of other transactions and include them in a block. They then attempt to solve the block. Miners compete to solve the block. It usually takes an average of 10 minutes for a miner somewhere to crack a block and for any given transaction to be added to the blockchain ledger. 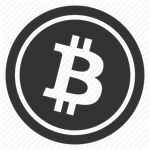 Generally, particularly when being a receiver of BTC from an unknown or untrusted party, it’s recommended to wait for six confirmations to consider the transaction well and truly concreted into the blockchain with no risk that there has been a double or multiple spend that could later invalidate the transaction. This would take approximately one hour from the time that the transaction is submitted. For relatively small amounts, one confirmation may be considered enough. Interestingly, some payment service providers such as CoinDesk give a nice friendly confirmation message within seconds of a payment made to them on behalf of a merchant. How is this possible when it takes several minutes for a transaction to clear on the blockchain? In this case, Coindesk validates your transaction, transmits it to the BTC network, tells the merchant that monies have been received and then kind of assumes that the transaction will be OK. It is willingly taking on the risk that a payment could be dishonest and that a double spend could be happening. If a double spend occurs, Coindesk could either be lucky or unlucky; lucky if their transaction makes its way into the main chain; unlucky if their transaction ends up in a block which later becomes orphaned. Coindesk is running a succesful service so its assumed that double spends do not occur against them so frequenctly. Why would anyone want to perform a double spend? In an attempt to obtain goods or services from 2 seperate parties with the same cash! kind of like trying to write 2 identical cheques with 2 people attempting to pay with them at the same time in 2 different cities. Before the merchants and the banks know what’s going on, the fraudsters have made off with double values of goods. We’ll discuss more about double spends in the future. For now it’s good to know that if you really need a BTC payment to be accepted in a few seconds and it’s a relatively small amount, services like Coindesk exist that make this possible.